This being the day after Christmas, it seemed appropriate to write something "seasonal" for this blog post. 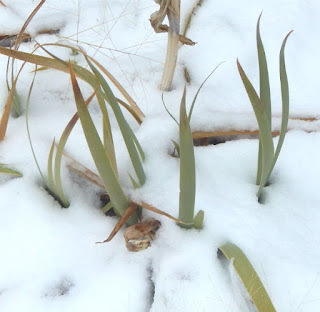 So what does winter mean for the iris grower? A word to the wise: Iris growers live in many, many different climates. What is true in one climate may be false in another. 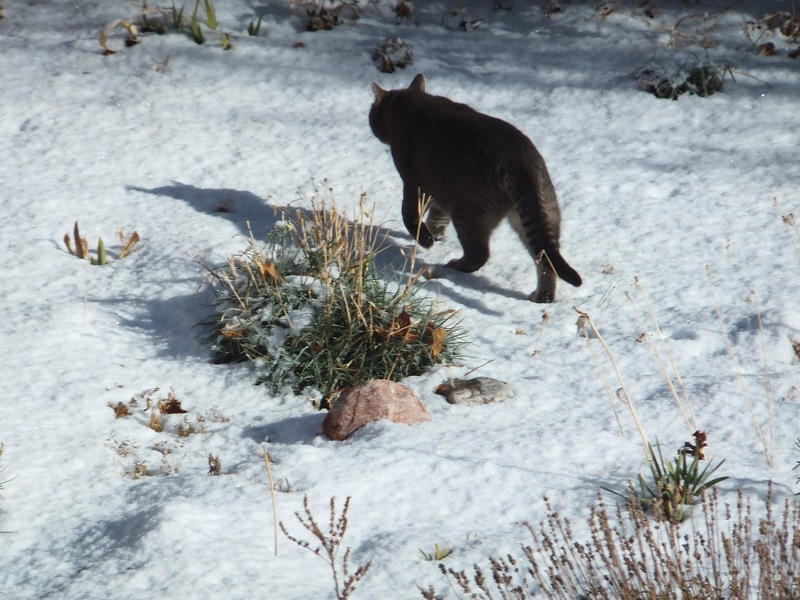 Be suspicious of any gardening advice on such topics as winter care that is written as though it applies everywhere. In this post, I'll mention a few things that one might want to consider, but I do not offer any absolute advice. For that, you need to speak with other gardeners in your own area or just do some trial-and-error work on your own. 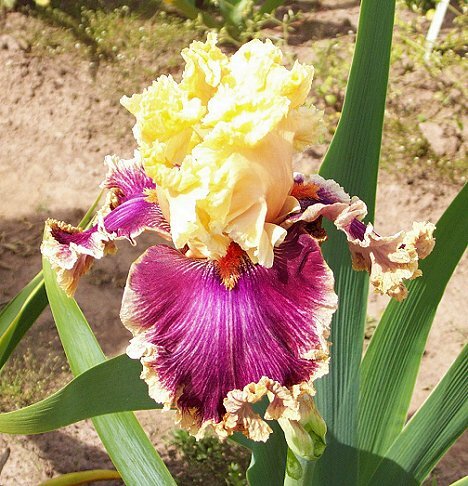 All irises grow in temperate climates. They are adapted to the changing seasons. Most kinds have periods of rapid growth in spring and autumn, but slow down or go dormant in summer and winter. 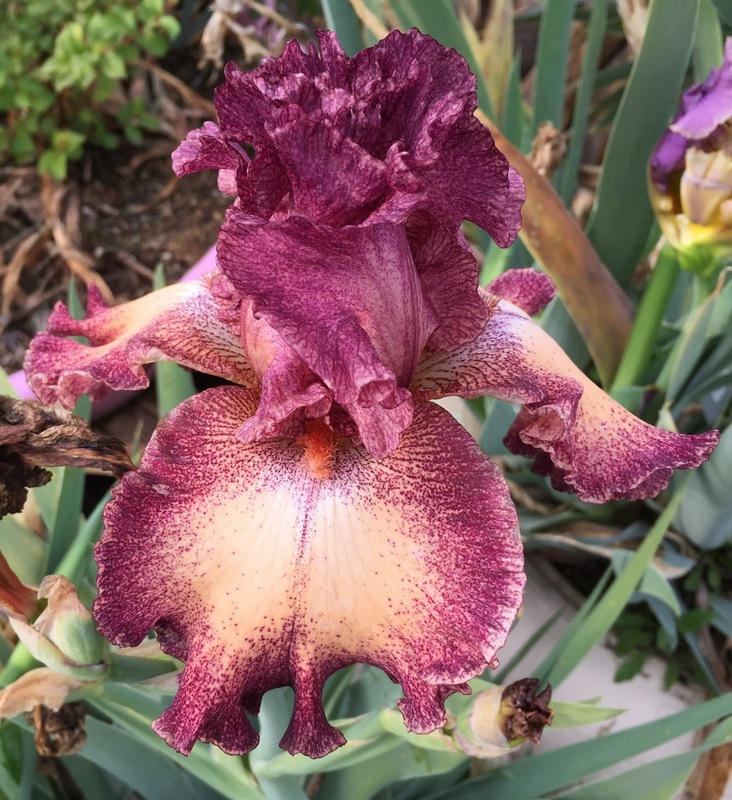 In fact, irises need a distinct winter with cold temperatures in order to bloom; they will not do well in tropical climates. 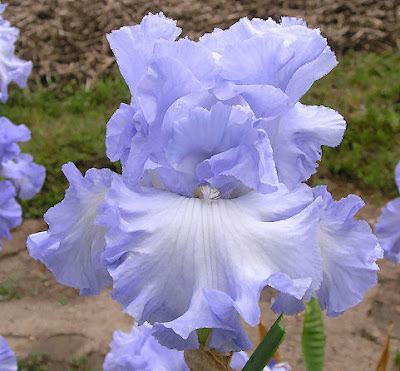 Selecting irises for your winter conditions. All garden irises are ultimately derived from wild iris species from different parts of the northern hemisphere. 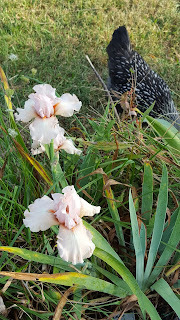 The climate where those species live can tell you something about how those irises will do in various climates. Louisiana irises, for example, are native to the southeastern US, where winters are mild and summers are warm and wet. Among the bearded irises, winter hardiness varies a great deal. The original diploid tall bearded irises come from the species Iris pallida and Iris variegata, native to central Europe, often at rather high altitudes. They have little difficulty surviving cold winters. 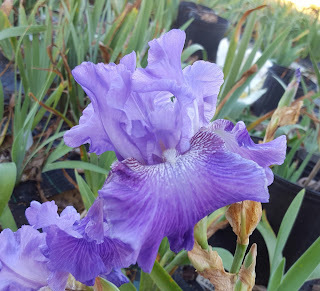 These diploid types are today mostly found among the miniature tall bearded (MTB) irises. 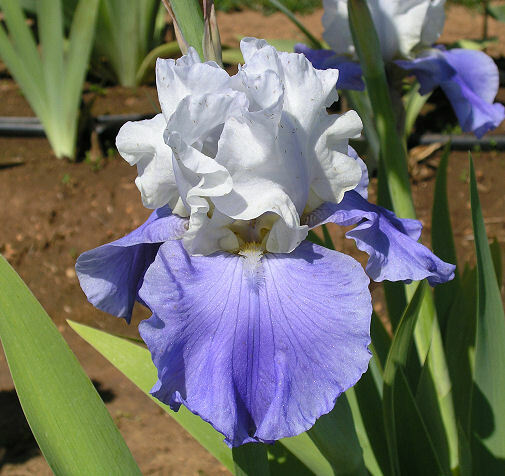 Modern tetraploid tall bearded irises also have species from the eastern Mediterranean in their ancestry, meaning that some of them fare poorly in colder climates. Depending on the particular mix of genes, modern TBs can be utterly hardy or quite tender, or anything in between. So how is one to know? 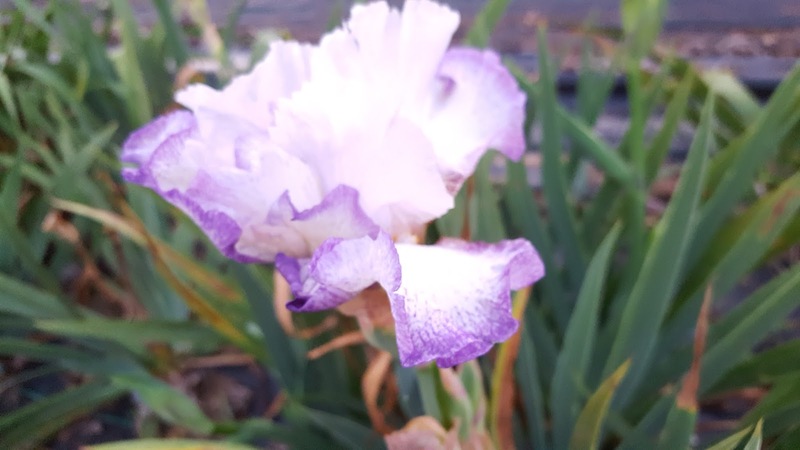 Checking with other growers in your own area is always good advice, but one can also take a clue from the region where the iris was originally hybridized. Irises bred in Canada or in the US midwest are almost certain to be suited to cold winters, while those from the Pacific coast are not necessarily so. 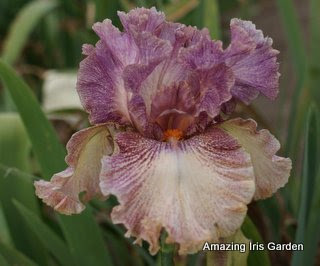 Border bearded irises (BBs) have the same ancestry as TBs, and so the same considerations apply. Among the dwarf and median classes, miniature dwarfs (MDBs), standard dwarfs (SDBs), and intermediates (IBs) virtually all have Iris pumila in their ancestry. This tiny species is a native of central and eastern Europe, growing at higher elevations and in more continental climates than most of the TB species. It is very hardy, perhaps to a fault, because it has a reputation for failing to grow and bloom well in climates with mild winters. Consequently, growers in places like southern California and Arizona sometimes find that these types (the MDBs especially) do not do well for them. Arilbreds vary in their degree of winter hardiness. The aril species grow in southwestern and central Asia. Although some of these are adapted to the very warm climate of the deserts of Israel, Jordan, and Syria, most arils are in fact mountain plants used to extreme winter cold and extreme summer heat. So why do northern growers find many arilbreds too tender for their climates? The fault is probably in their TB ancestry. The center of early arilbred breeding was Southern California, and the TBs used in arilbred breeding were those that did well in that mild-winter climate. 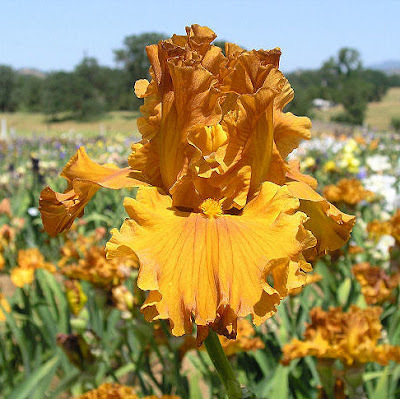 Having made these generalizations, I encourage iris growers to experiment with types that "conventional wisdom" might recommend against. 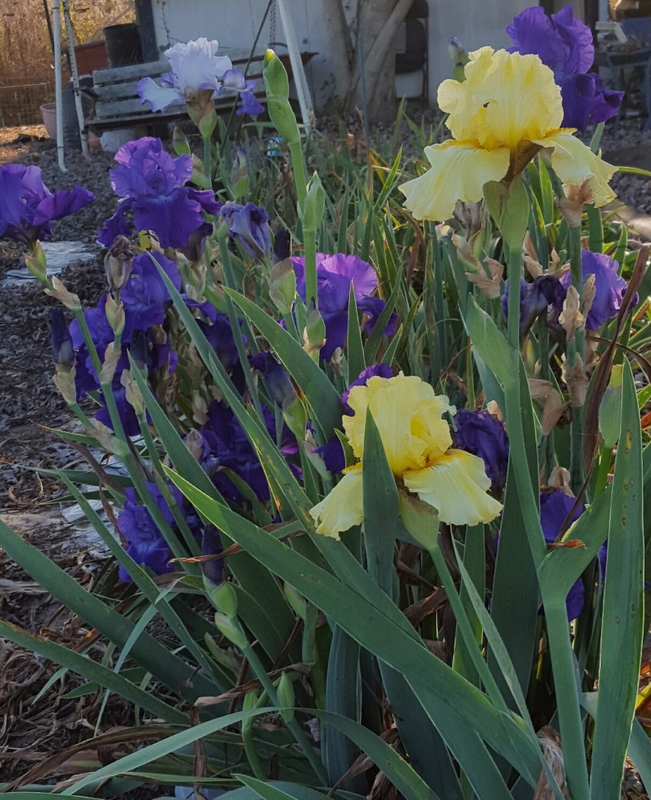 Every garden has microclimates, and every category of irises has cultivars that are surprisingly adaptable. Winter care: mulching. 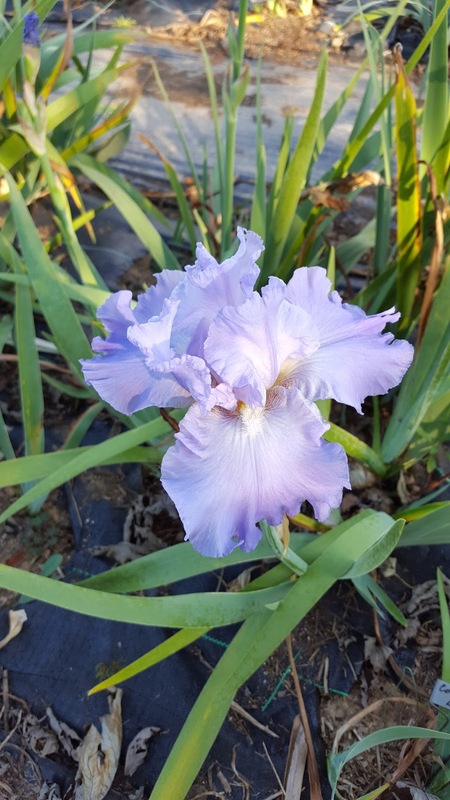 Irises are not very different in their needs from other perennials you may grow, so in climates where winter mulch is beneficial, it can be applied to iris plantings as well. The main purpose of a winter mulch is not to keep the plants warm, but to moderate the cycles of alternate freezing and thawing that can push plants out of the ground expose them to risk of winter rot. Snow makes an excellent insulator. If your climate is such that you can count on a fairly thick cover of snow all winter long, you have the ideal natural winter mulch! I am not so fortunate here in northern New Mexico. We get temperatures below 0 degrees Fahrenheit every winter, most often without any snow cover at all. I do not apply a heavy much, but I do allow garden debris to stay in place over winter, giving the crowns of the plants some buffer against the wind and cold. I also put down a layer of cotton bur compost in the late autumn. Winter weather gradually degrades it and incorporates it into the soil, but in the meanwhile it seems to offer a little protection. Beware that mulches can harbor overwintering insect pests and can collect water. In climates where these are issues of concern, it is best to forgo mulch. Winter care: water. In climates where the ground freezes, watering in winter is nor desirable, and often not even possible, so winter offers relief from this particular garden duty. Many gardening books seem to assume this is true everywhere. 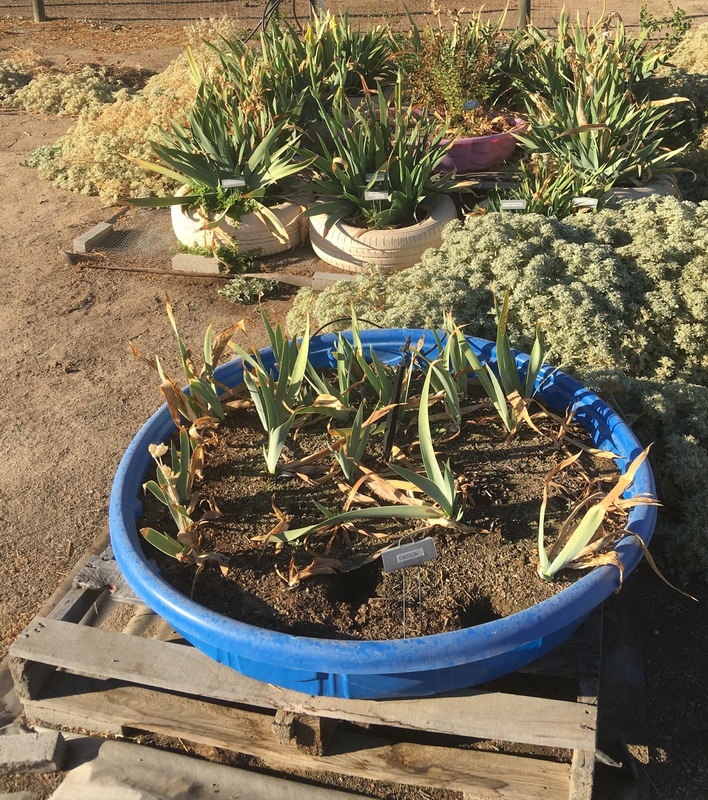 However, if you live in a dry climate with spells of warm weather during the winter, you should pay attention and provide a little supplemental water as needed to keep the garden from becoming totally desiccated. Not much is needed: remember that the plants are dormant or semi-dormant, and that evaporation is less because of the cool temperatures. Seeds! 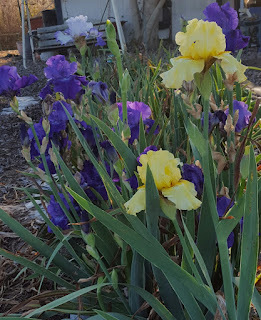 For those of us who like to grow irises from seeds, winter is an important time. Like most temperate perennials, irises have seeds that resist germination during the winter, to sprout when spring arrives. The cold and wet of winter are actually part of the preparation they need to germinate. 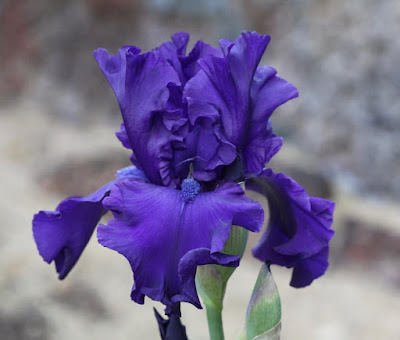 The simplest way to grow irises from seeds is to plant them outdoors in the autumn, where they can overwinter and come up the following spring. Nature is unpredictable, of course, so many people prefer to use an indoor refrigeration process to replicate winter conditions. I'm not really set up for that kind of project, so I plant mine outdoors and let nature do her work. Seeds from my own crosses get planted around the time of the first frost in autumn. Those I get from seed exchanges or other providers usually come later, in December or January. The longer they have to experience the winter wet and cold, the better. 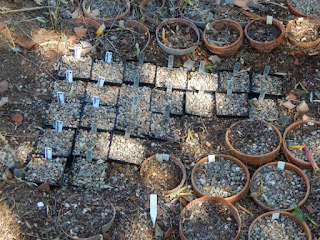 Since winter and spring weather here is erratic, germination is unpredictable. I generally leave the seeds in place for several years. I hope I've touched on at least a few topics of interest. 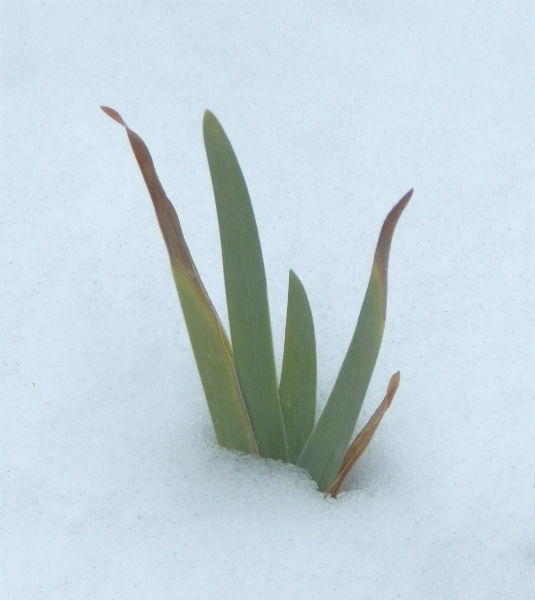 What are your own experiences of irises and winter? "Talking Irises" WHITE TALL BEARDED IRISES - "I'm Dreaming of a White Christmas"
"...May your days be merry and bright, and may all your Christmases be white." 'SKATING PARTY' (Gaulter 1983) Always a perfect bloom, with great form and branching, 'Skating Party' is a long bloomer, and is vigorous and reliable. It takes a great photo. I first fell in love with tall bearded white irises many years ago. My parents had 'Skating Party' planted in their flower bed, and I still remember the pure white falls and lavish ruffles. Oh, and the aroma--it still invokes special memories! So it was fitting that it was the first white iris I planted when I had my own iris garden. In all these years, it has consistently performed well each and every season. It is one of the first to flower, signaling a new bloom season in my zone 6 garden. There have been years when it is still one of the last blooming at the end of the season. 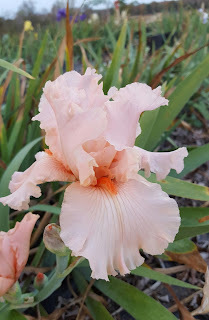 I wouldn't be without it in my iris garden. 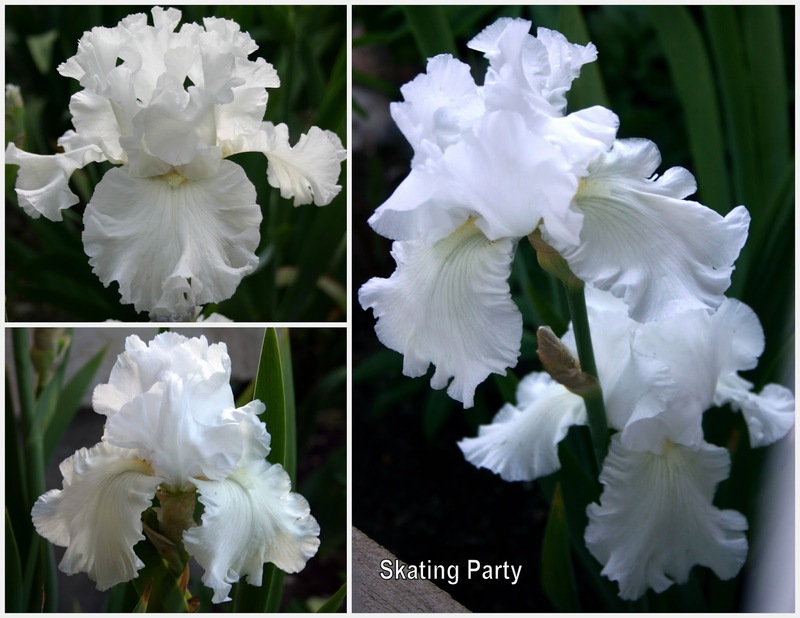 Pictured in this article is a sampling of just a few of my favorite white irises. They are favorites because of they are not only reliable and vigorous, but they are heavy bloomers, with nice form and good branching as well. 'SLY FOX' (Wood 1997) Beautiful form with red-orange beards, ruffles and lace--a favorite! I've heard it said that there is nothing more beautiful than a simple white flower. Although I don't know that I totally agree with that statement, what I do believe is that the pristine petals of a white tall bearded iris, with its elegant and graceful beauty, certainly has the ability to quietly command attention, as well as brighten up the flower garden. 'SLY FOX' (Wood 1997) With a long bloom time and nice petal substance, this white iris increases fast and is always a reliable favorite in the garden. Beautiful! Relatively small beds seem larger when planting whites strategically in the iris garden. They give an extra measure of depth and light that opens up the bed, giving it a feeling of peace and tranquility. 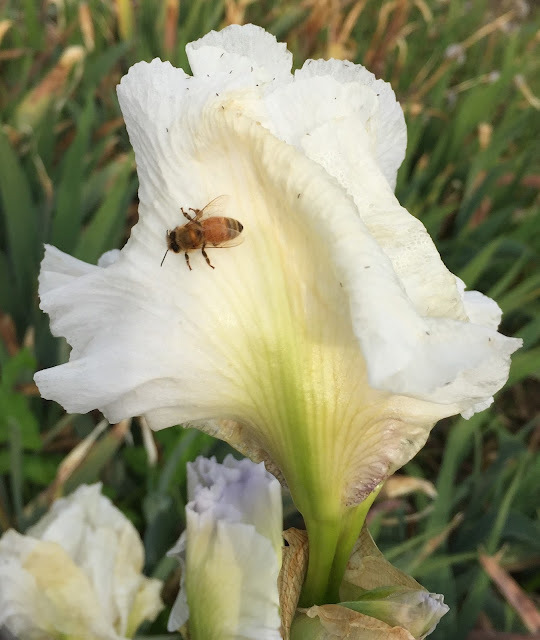 For this reason, I like whites and use them in all of my iris beds. 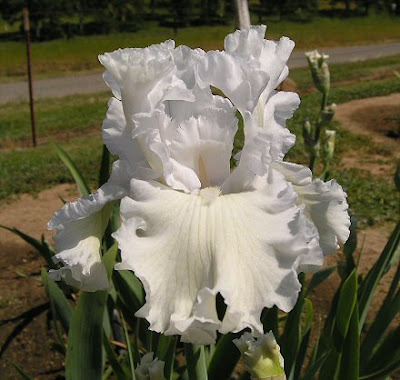 'LACED COTTON' (Schreiner 1980) If you love lace, this ultra-laced white tall bearded iris won't disappoint. A clump of it is stunning! When first open, a slight green cast is seen on the petals. Unlike many laced irises, this one opens up nicely. 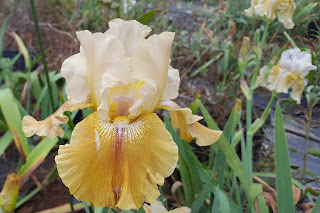 'FRESH POWDER' (Van Liere 2011) A vigorous, beautiful white, with extra bright yellow-tangerine beards, this iris is one of the brightest whites I grow. Unique and highly recommended. 'BUBBLY MOOD' (Ghio 1984) With lavender undertones and faint green veining on the falls, this huge, bubble-ruffled white iris goes well with cool-colored irises and companion plants. Another favorite, a relatively new introduction from Bob Van Liere, 'CHRISTMAS EVE', is one of the tallest in the garden. 'CHRISTMAS EVE' (Van Liere 2010) The perfect name for this iris! Standing tall in the garden on strong stems, the ruffled, graceful falls of this white beauty have heavy substance and are framed with bright red-orange beards. Excellent! 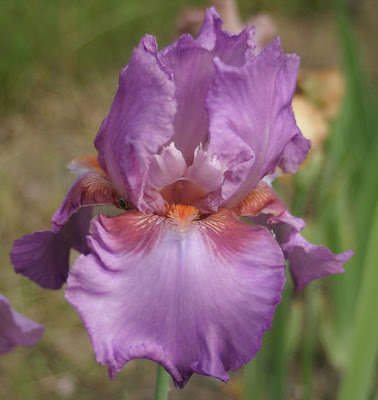 'MESMERIZER' (Byers 1991) This tall space-age iris is a favorite of many. Some years the appendages curve upward and are more petal-formed. Lovely! 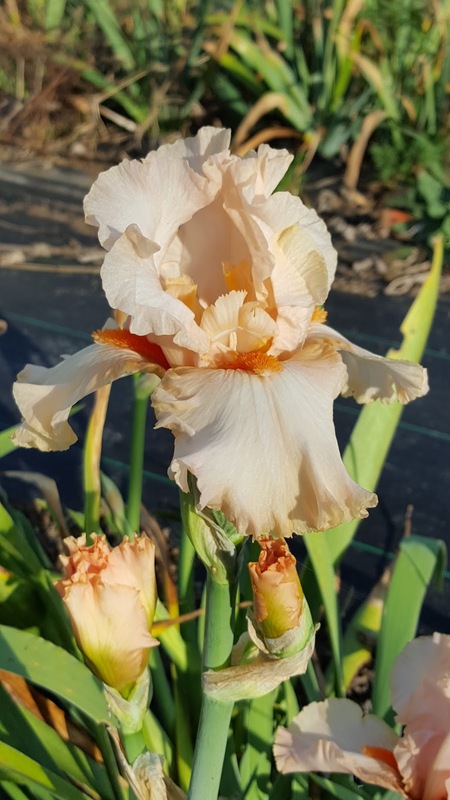 And last, but not least, 'DEVONSHIRE CREAM', (Sutton 2000), a luscious introduction that promises to be a stand out in the iris bed. 'DEVONSHIRE CREAM' (Sutton 2000) Lovely, laced, and ruffled, this stellar white is pictured in it's maiden bloom. Next year I expect the appendages to be more extended and larger. Exquisite! Growing a variety of white irises has been a work in progress. I have added new ones to the beds as the years have passed. Each one is unique and beautiful in it's own way. 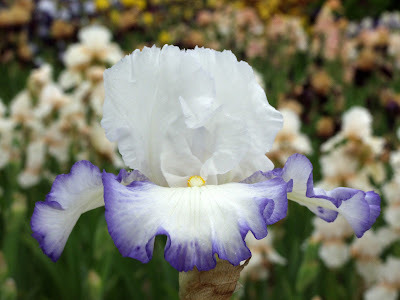 This Christmas, I'll be dreaming of white irises--maybe another beauty I can add to the beds this coming year! 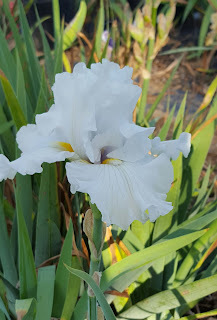 Do you love white irises as I do? I'm always on the lookout for a new one, so I'd love to hear from you if you have any favorites. 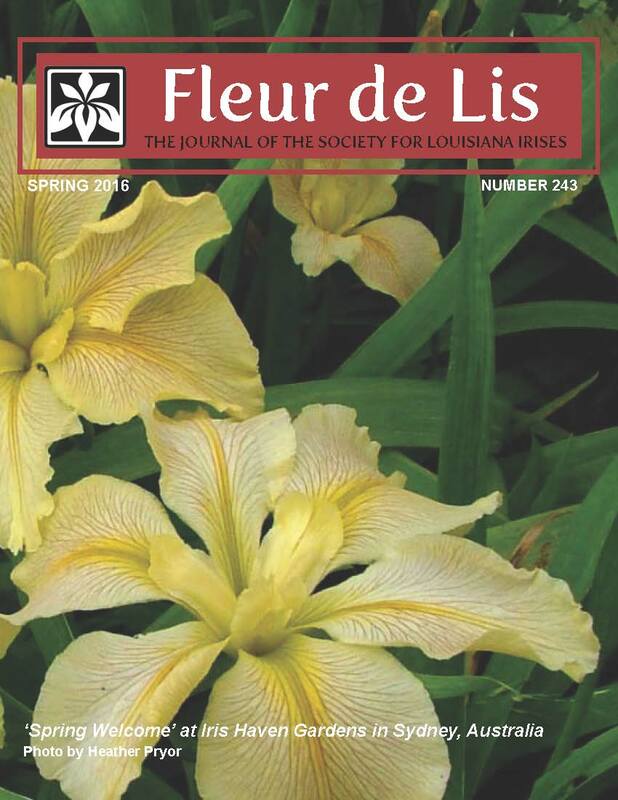 The Society for Louisiana Irises is the only AIS section that publishes a color journal on a quarterly basis. 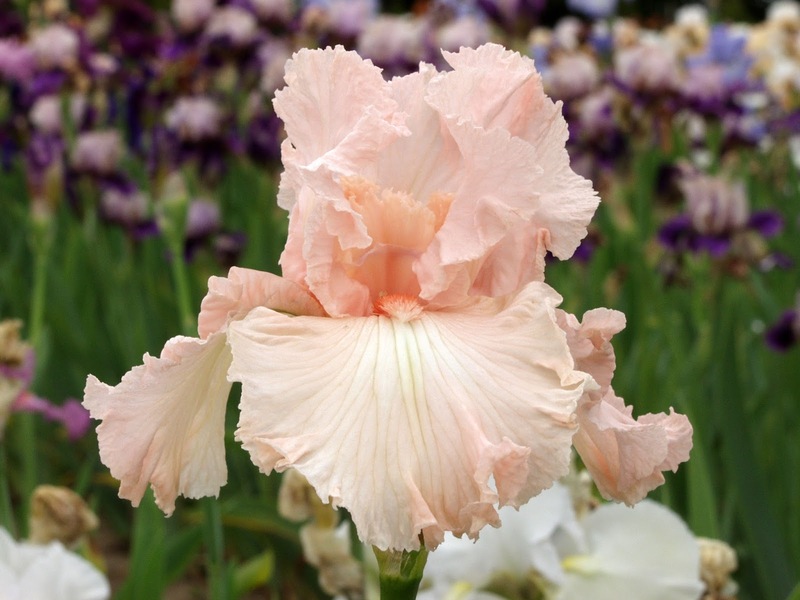 IRISES, of course, is produced for AIS members four times a year, but twice is the rule for the other sections. It is a challenge to maintain a quarterly schedule, and the financial challenge has become especially acute. SLI is now working to produce three issues a year but with added content. As you might suspect, you are about to be asked for your input. 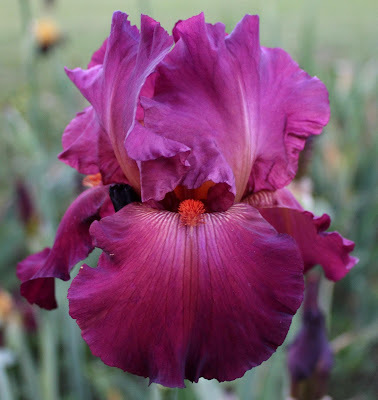 Readers of this blog, however, probably are wizened old iris enthusiasts (or maybe not old but very likely wizened nonetheless) with well developed and definite interests. Newbies may be more the issue, since many are often short timers with a much higher probability of failing to renew membership. 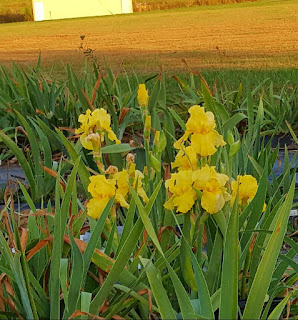 What can we put before them that will excite their interest in Louisiana irises and cement their participation for years to come? Blog readers are bound to have insights into this question or at least opinions that we would be grateful to hear. You can use the comment section below. 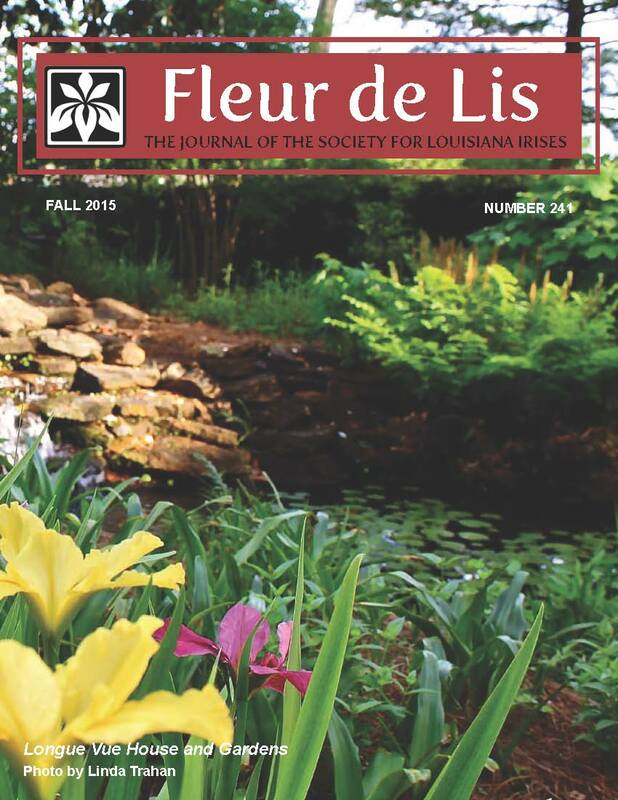 First, however, let me share an overview of the history of our quarterly journal, the Fleur de Lis and its predecessor the SLI Newsletter. A newsletter has been published since 1941, but it morphed into a magazine format with the development of computers and desktop publishing. A review of the past 25 years shows that we have produced a substantial quarterly publication of reasonably consistent size. 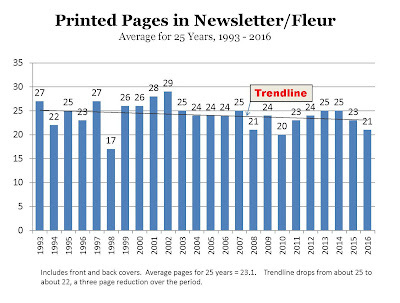 There has been a slight decline in the number of pages in recent years, and a financial analysis indicates that at present SLI can afford to print about 24 pages three times a year. 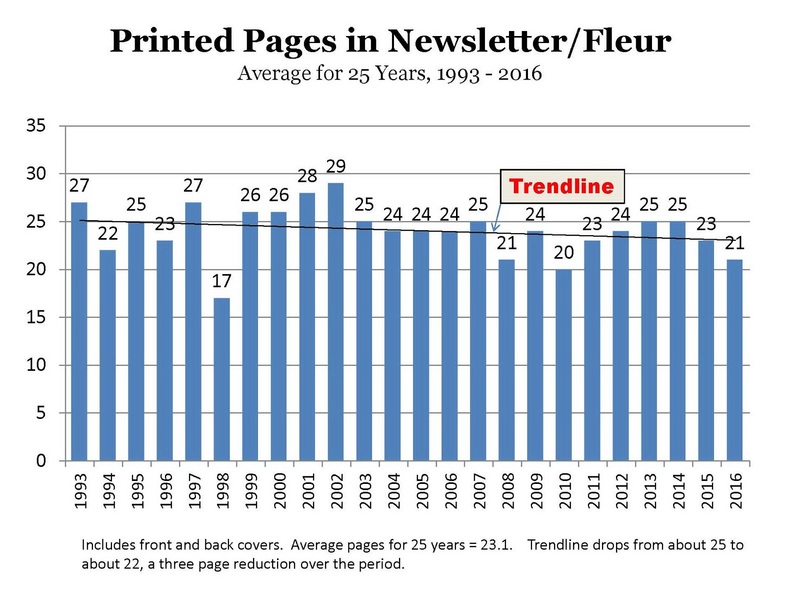 In the past, 32 and 36 page issues were published from time to time, but at color printing prices that size issue would depend on improvement in finances or a significant reduction in costs. (The latter is being worked on in the form of electronic distribution of the Fleur, but that cannot occur in the immediate future). Efficient use of printed pages is essential, and increased coordination with the SLI website must occur. Some features must be moved to the website to free up space in the Fleur for high priority material. 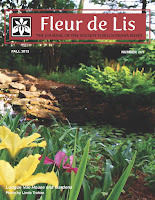 What kind of material has the Fleur de Lis contained lately? Here are the highlights. In the most recent four years, there were 138 items (articles or other material using significant space but excluding advertising). Convention Preview: 8 percent dealt with SLI convention attendance, including registration forms, schedules, summaries of tour gardens, and the like. Garden and Planting Reviews: 24 percent consisted of reviews of iris gardens or other types of gardens. Many were reviews of convention tour gardens but some dealt with non-iris gardens and companion plants. Awards: 7 percent involved awards for show winners or individuals who were honored. 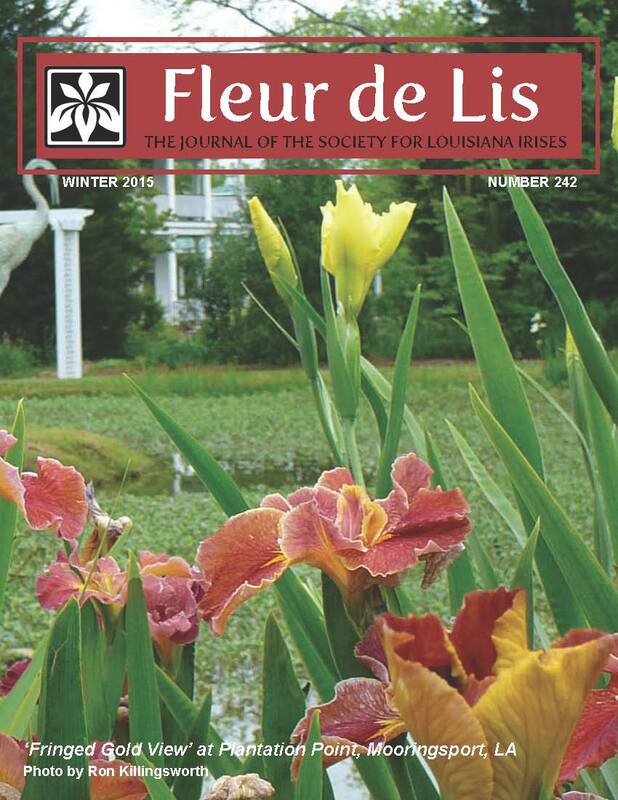 Culture: 5 percent were devoted to Louisiana iris culture. Iris People: 5 percent dealt with individual iris activists; unfortunately almost all were obituaries. 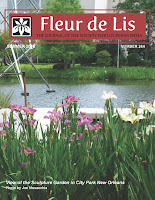 Species: 4 percent were articles about the Louisiana iris species. Organization: 14 percent involved SLI (or other iris organization) business or reports on activities, including meeting minutes and financial statements. Cultivars and Hybridizing: 5 percent involved varietal reviews of hybrid cultivars or the work of hybridizers. 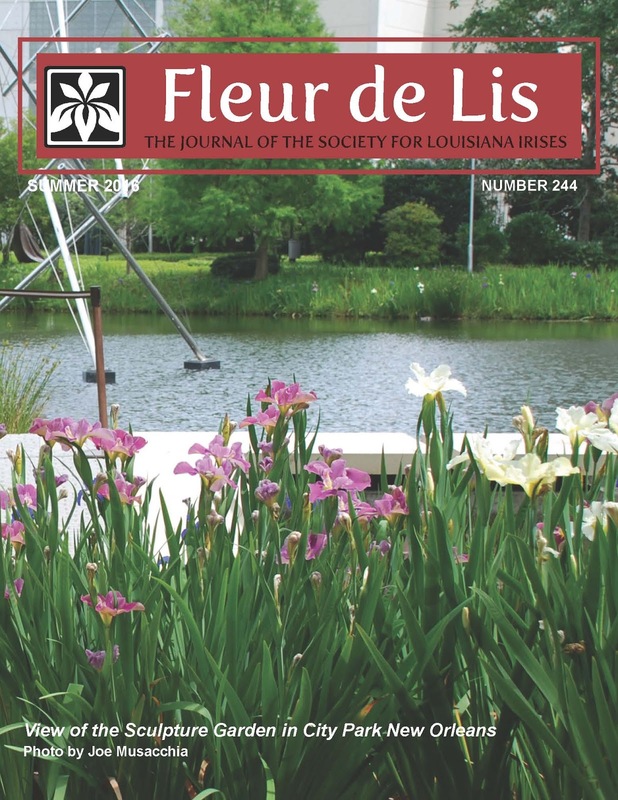 Scientific: 2 percent were reports on academic studies of the Louisiana iris species. Articles from Archives: 1 percent were “old”, reprinted articles from past issues. The remaining editorial space was devoted to regular columns and miscellaneous other matters. We would appreciate comments on how space as been allocated among these categories with a view toward providing members the kind of material that will excite their continued interest. Equally, we would love ideas for good articles. 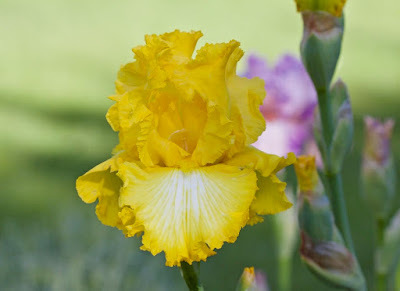 Perhaps something that appeared in the journal of another section that would be applicable to Louisiana irises also and that we could shamelessly steal and adapt. The comments section below is easy to use. 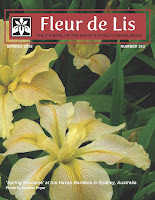 Please just share the perspectives of wizened iris enthusiasts about how an important iris publication could better serve our membership.